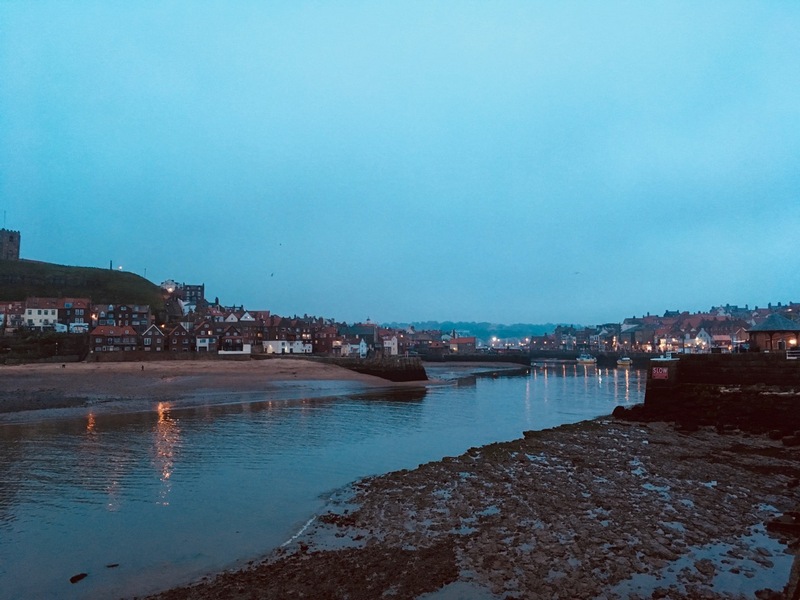 I’d always wanted to visit Whitby; it’s the birthplace of Bram Stoker’s Dracula, it’s got the Abby ruins and all the charm of the sea-side but whatever you do – do not visit this wonderous town on a Bank Holiday. I made that mistake last weekend and I was stunned and overwhelmed by the crowded masses spilling out of every laneway and roadside; grandmas pushing toddlers in buggies clutching their sticky slabs of Whitby rock, adults perspiring in the heat, teens hurling throw-downs at happless day-trippers – all strolling and squeezing their way through the town, happily expecting a half-hour queue for their fish and chips or their lemon-top whippy. 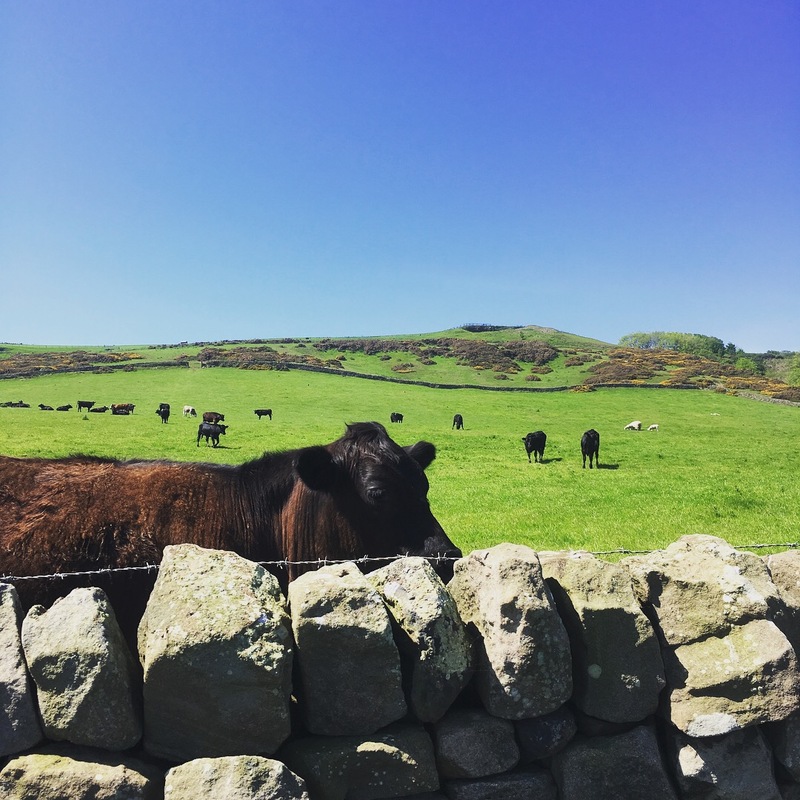 We rode the 10am bus next to some drunken lads, a young women who had been punched in the face and many kitted-out middle-aged ramblers to Robin Hood’s Bay and walked 9 miles along the cliff-side (known as The Cleveland path) back into Whitby. 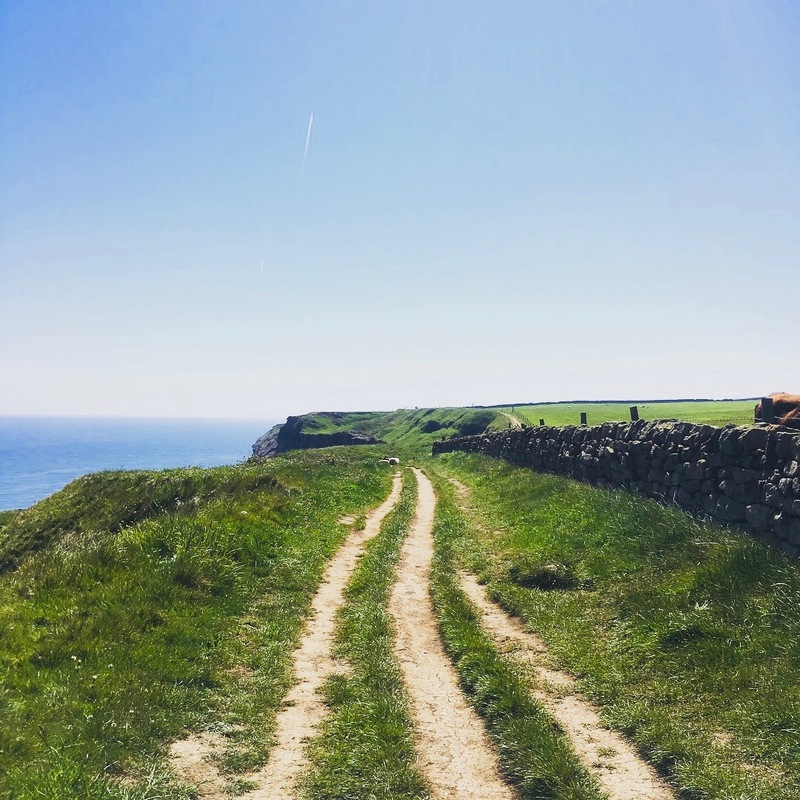 The path itself is incredible – sharing epic views of the North Yorkshire and Cleveland Heritage Coast with sheep, cows and communities of gulls, shaded rocky dips and tiny wooden bridges crossing the many streams that cut through the cliffside – makes for challenging rambling and a well-earned pint of lemonade at the end. The food was excellent everywhere we went, from breakfast at the hotel, to lunch at the cafes and seafood feasts at the restaurants. 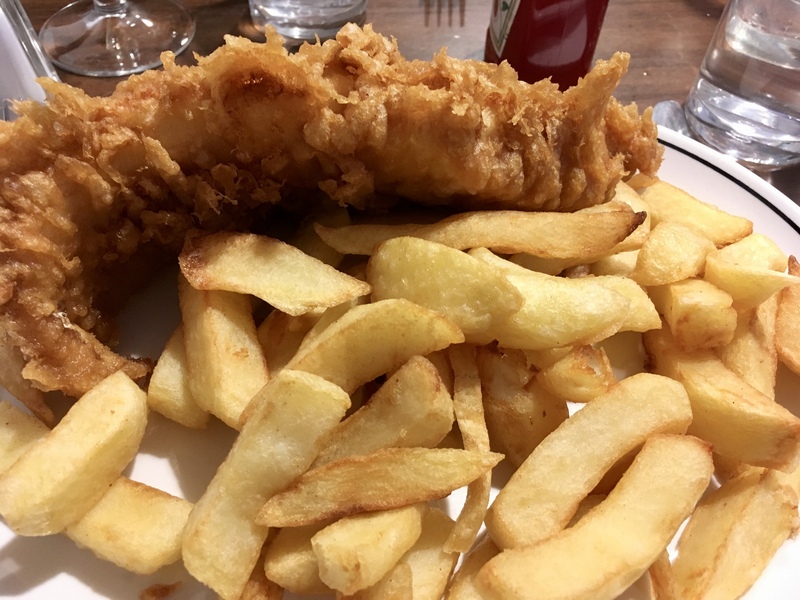 We enjoyed super-fresh Lindisfarne oysters at The Moon and Sixpence, and ‘the nation’s finest’ fish and beef-lard chips at famous Magpie Cafe . 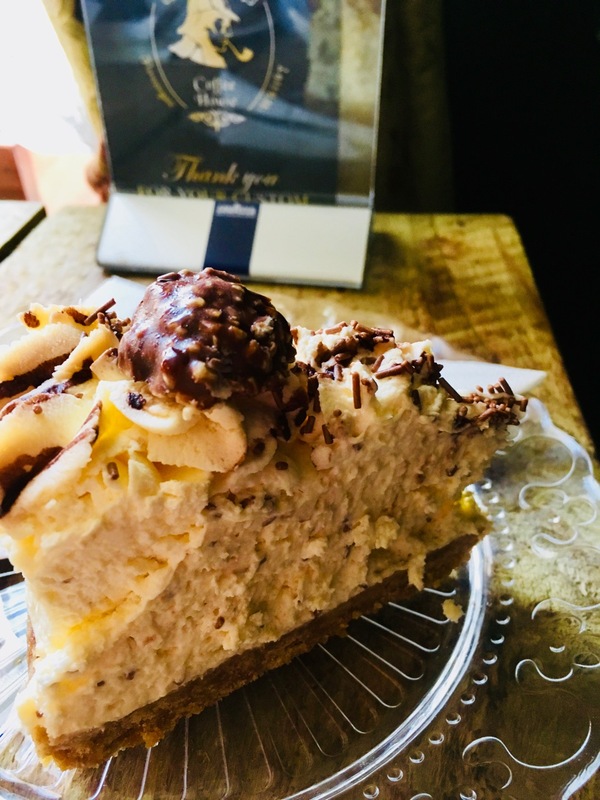 After our big walk, I gorged on the best ham and cheese toastie I’ve ever had and a delightfully light and creamy Ferrero Rocher cheesecake at Sherlock’s in Flowergate (had to replenish all those lost calories). We saw a bonafide Hand of Glory at the Whitby Museum and took the Whitby Ghost Walk, winding through the yards and alleyways of the west side of the river with tales of ghosts, murder and haunted lighthouses. We drank cocktails and enjoyed people-watching on Marine Parade and wandered down to the pier late at night to watch the mist roll in and the lights of the town come on. Crowds aside, I loved Whitby. I loved the people, the coastal ambience, the way the mist rolls in each night across the bay. I loved the ghost stories, the yards and the 199 stairs leading to the abby ruins that so dramatically shapes the landscape. I love the cottages, the cliffs, the food, the smell of the fishing nets and the goths who gather on the beach. I would definitely go back to further explore the cobbled streets and wander further afield to the many villages nearby.